The Valley of Armageddon as seen from the top of Mt. Carmel. Mt. Tabor is in the distance, across the valley. 1) Both the Gog-Magog battle (Ezek 38-39) and the battle of Armageddon (Rev 16:16; 19:19) are both described as taking place after the rebirth of Israel and is denoted with various phrases such as “latter years” (Ezek 38:8), “last days” (Ezek 38:16). Last days symbolically points to the time just before the Messiah will come and to Him shall be the obedience of all the people be (Gen 49:1, 10; 1 Chron 5:2). 2) Apostle Paul describes the “last days” as a time of disintegration of the morality of society and a time of Apostasy (2 Tim 3:1-8). Jesus also described these end times as a time of low morality and a time of Apostasy (Matt 24:11-12, 23-24). The main thing that we should notice here is, these last days disintegration of society and apostasy are predicted to happen after the rebirth of the nation of Israel which Jesus symbolically referred to as a fig tree (Matt 24:32; Hos 9:10). Thus the timing of this war generally points to the time after the rebirth of Israel and up to the Second Coming of Jesus (Matt 24:30-31). 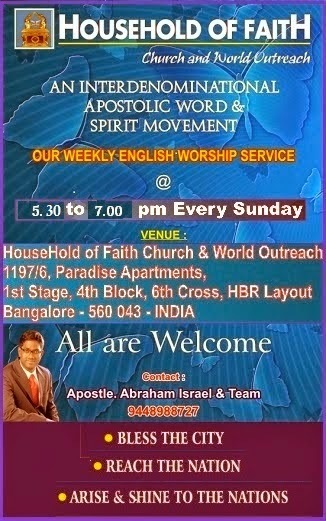 After the time of disintegration of society and the worldwide apostasy organized by Antichrist’s one world religion Jesus will come and defeat Antichrist in the battle of Armageddon. 3) Ezekiel 39:4, 17-20 and Rev 19:17-18 both describe dead invaders being eaten by birds and wild animals. 4) In Ezekiel 39:29, God has promised that He will not hide His face from the nation of Israel anymore after this war. The reason God gave for not hiding His face is because He has said, “…I shall have poured out My Spirit on the house of Israel.” This is the same outpouring of God’s Spirit that is described in the Book of Zechariah to be the time of Jesus’ Second Coming in which the Jews will accept Jesus as their Messiah (Zech 12:10). 5) The Ezekiel 38-39 war cannot happen before or during Tribulation because God has promised to the nation of Israel, “…I will not hide My face from them anymore…” after this final war. Here the promise of God clearly points the time of this war to Armageddon in which the nation of Israel will accept Jesus as their God and Savior, after which for the next thousand years and for eternity the Jews will have access to God through their faith in their true Messiah Jesus (Gal 3:26-29; Eph 2:18; Zech 12:10). The phrase “…I will not hide My face from them anymore…” here points to a time of eternally unbroken continuous fellowship of God with the nation of Israel which can only happen after the battle of Armageddon. 6) Ezekiel 39:22 declares that at the end of Gog- Magog battle the nation of Israel will finally acknowledge and know that their Messiah Jesus Christ is their true Lord God from that day forward. Thus the references in Ezekiel 39: 22, 29 coupled with Zechariah 12:10 explains the acknowledgment by Israel of their Messiah at the end of the Tribulation, which would naturally make the Gog-Magog battle and Armageddon as one and the same. Here “…Israel…shall know their God from that day forward” in Ezek39:22 shows that the nations of Israel will never again be separated from their God and Messiah Jesus Christ anymore after this war. 7) The next point that points the Gog-Magog battle to be the same Armageddon battle is the verse in Ezekiel 39:23 which says, “The Gentiles shall know [after this Gog-Magog war] that the house of Israel went into captivity [of their enemies which includes Antichrist ruling over them tyrannically during the Great Tribulation] for their iniquity; because they were unfaithful to Me, therefore I hid My face from them. I gave them into the hand of their enemies, and they all fell by the sword.” The Book of Revelation 13:10 points that Antichrist will lead people in to captivity and will kill the zealous saints with the sword during the Tribulation, which shows that Israel as a nation will not be free from captivity and manslaughter until the Armageddon war gets over. The world can only realize that the nation of Israel is free from captivity and sword if they are no more under the authority of anyone except their Messiah God Jesus Christ. 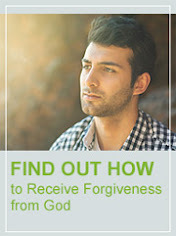 This will only be possible after the war of Armageddon in which the Messiah of Israel will defeat all the enemies of Israel and will show the world that Israel suffered for nearly two millenniums because of their sins which were upon them because of the rejection of their Messiah Jesus (Matt 27:24-25; John 19:11; Matt 23:38-39; Zech 12:9). 8) The references to Armageddon include the nation of the entire earth against Israel (Joel 3:2; Zeph 3:8; Zech 12:3; 14:2). At the same time the nations of the entire earth do not necessarily mean that not even one nation will be left out from being a part of it. Also we see in the Book of Daniel that the Antichrist having some foes even to the very end, up to Armageddon battle (Daniel 11:40-44). From this we know that few nations will exclude themselves and will not like to be a part of the global government of Antichrist and thus will oppose him. These nations being powerless before the might of the global government of the Antichrist will sit at the sidelines and watch his brutal rampage (Ezek 38:13). As the Antichrist will be representing a global coalition of nations, the Bible calls this coalition as “all the nations”, “the beast [Antichrist], the kings of the earth, and their armies, gathered together [representing the entire nations of the world]” and “the kings of the earth” (Rev 16:14; 19:19; Zech 14:2). This clearly shows that even though a few nations will not be a part of the global coalition of Antichrist, still this global coalition is representing the whole world and thus can be called as the troops and armies of “all the nations”. Or in other words, this global coalition army will contain “all the men of war [from all nations] ” (Ezek 39:20) who are all part of the armies of many nations around the world. 9) Even though Antichrist takes this global coalition to destroy the nation of Israel, some nations will not agree to be a part of it and thus will sit at the sidelines watching [i.e. confessing their inability to help Israel] in horror of what Antichrist will try to do by going toward the city of Jerusalem to plunder its wealth and to destroy completely forever (Ezek 38:13). All the nations that will not take part in the global coalition will be considered as sheep nations in the Judgment of nations after the battle of Armageddon gets over (Matt 25:31-33; Dan 11:44). 10) Some people say that the players in the battles do not match. But it is a false assumption to think like that. The nations described in the Gog-Magog battle are Gog [the Antichrist] of the land of Magog who is the prince of Rosh, Meshech and Tubal [Note: Ezekiel the prophet is commanded by God to “prophecy against him” (Ezek 38:2) which is a singular pronoun which represents a person not a nation or nations], Persia, Ethiopia, Libya, Gomer, the house of Togarmah. These preceding nations are the some of the same nations which are described in the Book of Daniel as those who follow the Antichrist at his heels (Dan 11:43). This gives us a clue that Armageddon and Ezek 38-39 are the same battle expressed differently. If the number of nations stops here, this could not be compared with the battle of Armageddon in which a global coalition of all nations will be a part of it. But after this in Ezek 38:6 it is written, “many people are with you [with whom? The previously described limited list of nations]”. And again and again this phrase “many people are with you” is described in the same chapter to mean that along with the eminently named and numbered visible nations, an infinite number of nations and people groups will be partaking in this battle (Ezek 38:6, 9, 22). In all these verses “many peoples or people” means ‘all the people group of the world, many nations, all the nations of the world or infinite number of nations’. This clearly shows that Gog-Magog battle is the battle of Armageddon in which the Bible says, ‘all the nations of the world as a coalition under the one world government’ will participate to destroy the nation of Israel and its inhabitants (Rev 16:13-14, 16; 19:19). The exclusively named nations will be the dominant players in the final battle, but the whole army will be a global coalition under the leadership of Antichrist. 11) The locations described for the two battles match perfectly. Armageddon takes place in the valley of Jezreel by the plain of Megiddo (Judges 5:19; 2 Kings 23:29; 2 Chron 35:22; Zech 12:11). 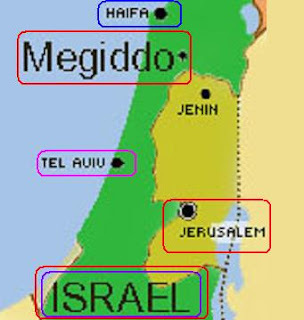 The Book of Revelation says that the kings of the earth gathered together in a place called in Hebrew ‘Armageddon’ which means ‘Mount Megiddo’ (Rev 16:14, 16). A valley is an area of land between two lines of hills or mountains, usually with a river flowing through it. Thus the valley of Jezreel is an area of land between the mountains of Megiddo which is situated just outside of the city of Jerusalem. This is the exact place where the Bible describes that the blood of people will come out even up to the horses’ bridles, for one thousand six hundred furlongs after Christ defeats this global coalition of nations under Antichrist (Rev 14:20). This complete catastrophic destruction is because of the wrath of God upon the kings of the earth for coming with an evil intention to destroy the nation of Israel forever and plunder it. Because the nation of Israel is the apple of God’s eye (Zech 2:8), Christ and His army will come to defend God’s land of the nation of Israel from being destroyed which is His will for them (2 Chron 7:20; Jer 2:7; Is 14:25; Rev 14:19; 19:19-21). The same place of battle is also described in the Book of Joel as “the valley of Jehoshaphat” (Joel 3:2, 12). Again the same place of battle is referred in Zech 12:10-11 where the Bible says, “In that day [of Gog-Magog battle] there shall be a great mourning in Jerusalem, like… in the plain of Megiddo.” This clearly shows that a great mourning will first start in the plain valley of Megiddo first due to the massive destruction of the multi-million army of the global coalition of the kings under Antichrist and then will the mourning of the remnant Jews as a sign of repentance will happen in Jerusalem, to receive their Savior and Messiah Jesus who was rejected by them in His first coming. 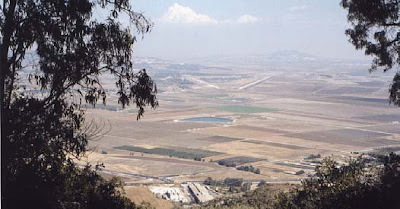 Ezekiel 38:8 describes the Gog-Magog battle as taking place on the “mountains of Israel” which clearly matches the exact location of the Armageddon battle which also takes place beside Mount Megiddo. The very Hebrew name ‘Armageddon’ literally means ‘Mount Megiddo’ (Rev 16:16). God Himself has promised in His word that He will tread Antichrist the Assyrian underfoot on the mountains of Israel, and this purpose is purposed against the whole earth because Antichrist will represent all the nations of the world. His army will have a global outlook with nearly all nations as a part of it (Isaiah 14:25-26). This proves that Gog-Magog battle is the same Armageddon battle described in the New Testament. 12) The account of the defeat of the invaders matches perfectly. The Gog-Magog invaders are defeated by God who uses “pestilence…bloodshed and [will]…rain down on him [i.e. the Antichrist and his troops and the accompanying nations of the world]…flooding rain, great hailstones, fire and brimstone.” (Ezek 38:22). The kings of the earth are defeated by Christ and His army in the same way in Armageddon as in the battle of Gog-Magog battle. The Apostle John has written in the Book of Revelation which says, “[The Antichrist and the false prophet] were cast alive in to the lake of fire burning with brimstone.” (Rev 19:20). Then the invading nations at Armageddon are defeated by Jesus who uses “a sharp sword” from His mouth, meaning mere words (Rev 19:15). When Jesus speaks the word of Judgment upon Antichrist and his global armies, the heaven will open up and release the destructive wrath of God on this planet earth. Just like Sodom and Gomorrah were rained by brimstone and fire, so will be upon the global coalition of nations under Antichrist (Gen 19:19:24-25, 28; Ezek 38:22). This is also confirmed in Isaiah 66:15-16 which says, “15 For behold, the LORD will come with fire and with His chariots, like a whirlwind, to render His anger with fury, and His rebuke with flames of fire. 16 For by fire and by His sword the LORD will judge all flesh; and the slain of the LORD shall be many.” This preceding verses clearly points to Jesus’ Second Coming in which He will destroy His enemies by fire and His sword [i.e. which is His word that will come out of His mouth (Rev 19:13-15; Eph 6:17)]. 13) In Ezekiel 38:22 God says, “…I will bring him [whom? Antichrist] to judgment….I will rain down on him [whom? Antichrist, this is the reason God is speaking in a singular personal pronoun pointing to a single person], on his troops [‘his troops’ points to the personal troops of Antichrist that he will have to destroy the nations that oppose him], and on the many peoples [i.e. many different people groups from nations around the globe] who are with him, flooding rain, great hailstones, fire, and brimstone.” This verse clearly points that the Gog-Magog battle is the same Armageddon battle of the End Time. Antichrist is spoken as a single person with His empowered troops under his charisma. Then the nations of the world who have joined him to destroy and plunder Israel are described as nations who are with him. Thus the scenario of Antichrist invading Israel with a global coalition perfectly fits the Gog-Magog battle. 14) The only time of peace that the Bible predicts in the end times is the false peace accord that the Antichrist will make with the nation of Israel for 7 years (Dan 9:27; 12:4, 9). We see in the Bible that the peace that the world will seek in the end times due to distress that will come upon it as a judgment from God for all its wickedness (Luke 21:25-26; 1 Thess 5:3), will be changed to peaceful conditions and prosperity as God has promised, only after the Messiah of Israel comes and makes Jerusalem as His capital city to rule the world from it (Isaiah 11:6-11; 9:6-7). Until the government of the real Messiah Jesus Christ is established in the earth, there can be no real peace on earth (Luke 2:14; Eph 2:14; Haggai 2:9). Thus we see that the peace that is achieved in Ezekiel 38th chapter is the false peace that has come as a result of the peace accord that the nation of Israel will make with Antichrist. The Jews will accept Antichrist as their Messiah because of His achievement in breaking the wall between the Nation of Israel and Palestine, thus bringing false peace upon the whole wide world (Ezek 38:11). In speaking of judgments at the time of the 2nd Coming, Joel 3:2 says, “I will gather all nations and bring them down to the valley of Jehosaphat. There I will enter into judgment against them concerning my inheritance, my people Israel, for they scattered my people among the nations and divided up my land.” We should remember that God doesn’t judge nations but people. The leaders of nations involved in dividing up God’s land are in view here in the preceding verse. This shows that the land for peace deal that is presently pursued by majority of nations will be fulfilled and a separate Palestinian state will be formed alongside the nation of Israel before the Second Coming of Jesus, for which He will judge all the national and international leaders for doing it. We can see from this view point of the previous scripture, after the Palestine becomes a nation, the nation of Israel will very soon build a great wall between them to protect themselves from the terrorist activities of the Palestinians. After these events in the end time, Israel will become very prosperous in the whole wide world because of the establishment of false peace covenant of the Antichrist and the rise of temple worship in anticipation of the Messiah of Israel and the world, this is the reason nations will come to plunder Israel under Antichrist (Ezek 38:13-14). The Antichrist will make the Jews as peaceful people by his reassuring words and will make them dwell safely without walls, having neither bars nor gates (Ezek 38:11-12). All these gimmicks of Antichrist will be over after the time of the 7 years false peace covenant ends, after which Antichrist with all the nations of the world under him will try to destroy Israel completely. At that time the real Messiah of Israel [i.e. Jesus Christ] will come and rescue the nation of Israel during the final Gog-Magog battle of Armageddon (Rev 19:17-21). And also only the Messianic Jews will oppose the idolatrous one world religion which will be instituted by the Antichrist’s right hand man the false prophet from the newly built Jewish temple, this will start only from the day of the abomination of desolation (Matt 24:15-16, 23-28; 2 Thess 2:3-4, 8). Only these zealous Messianic Jews will be killed by the Antichrist (Rev 13:15, 7). All other Jews will accept Antichrist as their Messiah and will follow him (Rev 13:8). The Great Tribulation will start immediately after the rapture and it will be a time of the wrath of God which will be poured out on Antichrist and the inhabitants of the whole earth (1 Thess 1:10; 5:9; 2 Thess 1:7-10; 2:11-12; Rev 16:1-16). Even under God’s wrath of Great Tribulation, the deceitful and peaceful pre-condition of Ezekiel 38:11 can exist, in which Israel will be living unsuspectingly believing the lie of Antichrist to be Israel’s Messiah and the false prophet to be Elijah before the Gog-Magog battle. After the 7-year peace covenant with Antichrist gets over, then the evil plan of Satan will come in to the mind of Antichrist to plunder and destroy Israel (Ezek 38:10-12). After which Antichrist will gather a global coalition of troops under him to destroy Israel completely, only then the unsuspecting people of Israel will realize their folly in believing Antichrist as their Messiah. Then in their helplessness they will mourn for the real Messiah Jesus Christ, after which He will come and rescue the nation of Israel in the Gog-Magog battle of Armageddon (Zech 12:3, 9-11; Matt 24:29-31). 15) Ezekiel 38:13 describes some nations questioning the Gog-Magog invasion. These nations are Sheba, Dedan, the merchants of Tarshish and all their young lions. This shows that when the Bible says all the nations of the world is involved (Joel 3:2; Zeph 3:8; Zech 12:3; 14:2), it is describing about a global coalition of troops under the leadership of Antichrist (Ezek 38:22). If all the nations of the world without the exception of even one nation supports the Antichrist’s Gog-Magog invasion, then how can any nation be considered as sheep nation when Christ sits on His throne after Armageddon battle in the judgment of nations (Matt 25:31-33)? So the Biblically accurate view requires that some nations need to surely sit at the sidelines, not having the ability to resist the evil plan of Antichrist to destroy Israel from existence and plunder its wealth (Ezekiel 38:10, 13-14). 16) Ezekiel 39:9 describes Israel burning the invading enemies weapons for seven years. Because the Gog-Magog battle will take place after the end of the Great Tribulation, the enemies weapons will be burned for 7 years in to the Millennium. At that time Messiah of Israel would be present in Israel to protect it and to judge the nations of the world. This is the reason the nation of Israel will not want to take and store the weapons as booty or spoils for future wars, but instead would choose to burn the weapons completely. This also reveals their confidence in their real Messiah Jesus Christ who will have by then saved them from the terrible and brutal clutches of the Assyrian Antichrist in this final war of Armageddon. 17) The leaders of the invasion in both the Gog-Magog and Armageddon battle are the same. Gog is the prince and ruler of Rosh, Meshech and Tubal (Ezek 38:3). The Antichrist is clearly described in the Book of Daniel as “the people of the prince who is to come” (Dan 9:26). Also He is clearly described as the horn before which three horns fell (Dan 7:20). The meaning of the preceding verse is “….He [i.e. the Antichrist] shall be different from the first ones, and shall subdue three kings.” (Dan 7:24). In other words the prince of Gog who is the Antichrist will bring the three kings of Rosh, Meshech and Tubal under his control and will subdue them. Seeing this, the whole world will give their power over to Antichrist to form a one world government with a one world religion intertwined within it (Ezek 38:3; Rev 17:12-13). The invading leader in both Armageddon and Ezek 38-39 is the same beast Antichrist who will have a worldwide control over the whole earth. It is clearly a known fact that the Antichrist who is also called as the prince of Gog will be possessed by Satan the Dragon (Rev 13:2). This is the reason the verse in Ezekiel 38:10 says, “thoughts will arise in your mind…you will make evil plans”. In other words, just like Satan entered Judas to fulfill the purpose of God, so will be at the end time with Antichrist (John 13:27). Satan will fulfill all his wishes through the body of Antichrist before he will be locked in prison for a Millennium (Rev 20:2). 18) The people who say that Ezekiel 38, 39 war is a separate war from Armageddon use two words “…dwell safely…” to substantiate their claim out of context. In the Hebrew ‘yashab’ is used for the word ‘dwell’ which means ‘to dwell, remain, sit, abide’. This is a root word out of which all these sub division occurs '(Qal) to sit, sit down, to be set, to remain, stay, to dwell, have one's abode, (Niphal) to be inhabited, (Piel) to set, place, (Hiphil) to cause to sit, to cause to abide, set, to cause to dwell, to cause (cities) to be inhabited, to marry (give an dwelling to), (Hophal) to be inhabited, to make to dwell’. This clearly points to the return of the nation of Israel back to its land by causing cities to be inhabited by them. And this has already happened. The other Hebrew word used here for ‘safely’ is ‘betach’ which can be translated as ‘security, safety, securely’. This word can also be translated as ‘ safely , safety , carelessly , careless , safe , securely , assurance , boldly , care , confidence , hope , secure , surely’. The word ‘carelessly’ exactly fits the context of the scripture because it is a war situation where the people of Israel will have carelessly trusted Antichrist as their messiah already, through a careless covenant agreement of peace for seven years (Dan 9:27). This word is used three times in other places to point to the same meaning of a lethargic attitude towards God and His ways (Isaiah 47:8; Ezek 39:6; Zephaniah 2:15). As we have seen, this word exactly fits the context because of the false covenant agreement that the Antichrist will make to bring safety to the nation of Israel and then exactly at the half of the seven year time he will break it. The word ‘carelessly’ in this context is used in Ezekiel 38:8, 11, 14. In other words, the Israelites who will be inhabiting the cities of Israel before the battle of Armageddon take place, will live carelessly [i.e. without their absolute knowledge of the God (Jehovah) who protects them] and thus ignorant of the God of their fathers who brought them in to the land of Israel to be a nation after millenniums of living in exile in various nations (Isaiah 11:12; Jeremiah 33:24-26; Ezek 36:24). They will live believing the lie that the Antichrist is their real messiah and that he will protect the nation of Israel forever (2 Thess 2:9-12). They will live carelessly without walls and having neither bars nor gates to protect themselves from their enemies because of believing Antichrist as their messiah and the false prophet as their real prophet Elijah who will protect them (Ezek 38:11). The nation of Israel will prosper because of reinstituting the temple and its ritual sacrifice as in the days of old. People from all over the world will bring their gold as an offering to the god of Israel under Antichrist. This is also the reason Antichrist with a global coalition of troops will come to plunder the nation of Israel and take its gold and silver wealth from its temple during Gog-Magog war (Ezek 38:13). As a nation Israel will prosper during the false time of peace in an unprecedented way (Ezek 38:12-13). Many hypocritical Jews will worship Antichrist even when he will break the covenant with Israel and also even after he begins to boast himself as God thus directing all the peoples of the earth to worship Satan openly (Rev 13:8). These hypocritical Jews will be deceived in to thinking that their messiah is Antichrist even up to the battle of Armageddon in which the true remnant will be saved from the clutches of Israel’s enemies (John 5:43; 1 Thess 2:11; Zech 13:9; Joel 2:32; Mic 4:7; Rev 13:8, 13-18; 16:2, 8-11). It will be only on the day of Armageddon battle, many of the Israelites will come to know that the Antichrist is not their real messiah, but is actually their enemy who has planned to destroy and completely wipe them out of the planet earth (Rev 19:19-21). Until then the Antichrist will act as though he is the real Savior of the nation of Israel and many Jews will be deceived during this time of the end (Rev 3:9-10). After this false safety will go bust just before the battle of Armageddon, then these same Israelites will mourn for the true Messiah to appear and rescue them to safety, at this point of time He will return to rescue Israel and inhabit in it forever. Then in true safety they will dwell in their land (Jer 23:6; 32:37; 33:16; Ezek 28:26; 34:25, 28; Zech 14:11). 19) The ‘un walled villages, prosperous people, dwelling safely, all of them dwelling without walls and having neither bars nor gates’ are all the words that the boastful Antichrist will use to make the Israelites [i.e. Jews] feel safe throughout the whole false peace covenant period (Ezek 38:11,14; 1 Thess 5:3). Thus absolutely indicating that the war which has been foretold in Ezekiel 38th and 39th chapter is the same Armageddon war described in the Book of Revelation (Rev 16:12-14; 19:17-21). 20) In a chronological order the whole end part of Ezekiel is written. Ezekiel 36 speaks about the regathering of Israel from nations around the world. Ezekiel 37 speaks mainly of the miraculous resurrection of the nation of Israel after millenniums of exile, which got fulfilled in May 14, 1948. Out of nowhere the nation of Israel suddenly came in to the international scene as a nation recognized by powerful countries around the world. This chapter also speaks about God's prosperous will and future for the nation of Israel with one kingdom [i.e. God's rulership] and one king [i.e. the Messiah David ruling forever (Ezek 37:25)]. Ezekiel 38 speaks about the end time prosperity of the nation of Israel and how Antichrist who will deceitfully become the false messiah of Israel and will try to plunder and destroy them. Ezekiel 39 speaks about how God will destroy Antichrist through His direct intervention through His Messiah from heaven who is the supernatural stone that was cut out of the mountain of heaven without hands (Dan 2:44-45). At the end this chapter also speaks about the outpouring of the Spirit that will happen when the Messiah comes to rescue the nation of Israel (Ezek 39:29). Then from Ezekiel 40 onwards, the information for building a new Millennial Temple for the Messiah and His kingdom law is described to the very details. Then about the Tribes, Priests, Prosperity of the kingdom of the Messiah is described even to the end of the Book of Ezekiel in Chapter 48. Thus, this chronological and sequential order of chapters arranged in the Book of Ezekiel also gives us a clear idea that the Gog-Magog war in the Old Testament is the same final Armageddon war written in the New Testament. 21) We see immediately after this Gog-Magog battle in Ezek 38-39, the building of the Millennial Temple of the Messiah in Israel in Ezek 40 onwards, which again shows that the preceding Ezekiel thirty ninth chapter battle is Armageddon battle. And it agrees with the scripture in the Book of Amos Chapter 9 which says, "11 “ On that day I will raise up the tabernacle of David, which has fallen down, and repair its damages; I will raise up its ruins, and rebuild it as in the days of old; 12 That they may possess the remnant of Edom, and all the Gentiles who are called by My name,” says the LORD who does this thing." We also notice that the enemy nations come against the mountains of Israel in and around Jerusalem from which the Lord will fight against them in that day of battle, which again shows that it is Armageddon Battle (Ezek 39:2; Zech 14:2; Joel 2:32). 22) Some believe that the Lord will use the Battle of Ezekiel 38-39 as a wake up call to Israel (Ezek. 39:22) which is necessary before the 70th week of Daniel so that the Great Tribulation can begin. But I don't think that the nations once they see such awesome power of the Lord in such a way as in Ezek 38-39, they will ever have strength in them to go against Him or for the Israelites to believe an Antichrist who will not be able to display a power equal to this magnitude. Next God says that the Israelites will know [i.e. spiritually because of receiving God's Spirit] that it is their God who has sent them out of their land in to captivity and that he has brought them back to their land and nobody will be left captive any longer (Ezek 39:28-29). If this Gog-Magog war happens before or during the Great Tribulation, the nation of Israel will again be taken captive by Antichrist during the Great Tribulation in which he will tyrannically impose his rule over them and kill many. This scenario is a technical impossibility. So this proves Gog-Magog to be the final Armageddon war. And also the outpouring of the Holy Spirit is only promised after the end of the Great Tribulation and Armageddon war, in which they will mourn for the Messiah whom they have rejected at His First Coming to come and rescue them (Ezek 39:29; Zech 12:10-11; Matt 24:29-30). It is an absolute impossibility and unbiblical to say that there is another outpouring apart from the one at Jesus' Second Coming to rescue the nation of Israel from the clutches of Antichrist. There is no back up verse in any part of the scripture to strengthen this belief. Again this proves Ezekiel 38-39 war to be the same Armageddon war. 23) All the world travelers towards Jerusalem who will come to see the Messiah and worship Him in His temple will be obstructed by the burial of the dead bodies in the mountains of Jerusalem, just after the war of Armageddon will be over (Ezek 39:11). Ezekiel 39:12 says that the whole nation engages in disposing of the bodies of the invaders for seven months, this disposal of bodies is done to cleanse the land of Israel [As we know from Mosaic Law that touching a dead body will make a person unclean for seven days (Num 19:11)]. Then there’s the issue of the whole nation handling dead bodies during the burial process, something that would make them unclean if they weren’t already. Once all the dead bodies are buried and the land is cleansed up, then they will cleanse themselves ceremonially by staying in isolation for seven days after which they will join in the rebuilding of the Messiah's dream project of rebuilding the temple, city and the whole nation of Israel under Him and rule the world from it (Num 19:11; Amos 9:11; Jer 31:39; Isaiah 60:10, 12, 18, 21-22). After seven months, squads of people are specially employed who are called as "search party" to dispose of any remains that are found. When a bone is found, a marker is placed by it and the burying is done by specialists (Ezek 39:14-16). In other words once the seven months burial gets over, the common man will avoid touching the bone so that he can remain ritually pure (Num 19:16). If this burial happens before or during the Great Tribulation, nobody and especially the Antichrist will bother to pick the bodies one by one. Instead it will be burnt to ashes by pouring some other inflammable liquid over it or by burning the weapons booty of the enemy in the same place. Because the place of death in which the Messiah defeats "Gog and all his multitude" (Ezek 39:11) will be a holy memorial to the supernatural power of the Messiah for the whole Millennium ahead, all the bodies will be removed one by one, thus cleansing the whole place (Jer 31:40, 39; Joel 3:17; Ezek 39:11). This clearly shows that Ezek 38-39 and Armageddon battle are one and the same. 24) The Hebrew word for 'Gog' is a proper masculine noun. It represents a person who is a male prince. The other meanings for the word 'Gog' is 'mountain [which represents authority (Dan 2:45; Matt 21:21)], a Reubenite, son of Shemaiah (1 Chro 5:4), the prophetic [male] prince of Rosh, Meshech and Tubal, Gog is the Antichrist who is from the gentile origin of the land of Magog (Ezek 38:2; Gen 10:2-5)'. Here in Ezek 38-39 context, the scripture clearly says Gog of the land of Magog is the prince of Rosh, Meshech and Tubal (Ezek 38:2-3). And in Ezek 39 God has said that "Gog and all his multitude will be buried [in]...the Valley of Hamon-gog." (Ezek 39:11). This preceding scripture calls the whole army of Ezek 38-39 as "his multitude" which is a personal pronoun that points to the person of Antichrist and his army consisting of a global coalition of kings and their armies from all the earth. Ezekiel 38:17 describes the Lord talking to Gog. He’s the one spoken about by the prophets, specifically in Amos 7:1 where the Greek translation names Gog as the king of the locusts. The locusts are demonic powers and personalities that are clearly portrayed as the ones which will afflict people during the Great Tribulation (Rev 9:3). And from this description we know that Satan and his evil minions will be the one who will orchestrate, empower and possess the Antichrist and all the kings and armies of the earth that will accompany him for the final Gog-Magog battle to destroy and plunder Israel forever (Ezek 38:10-13; Luke 10:18-20; Rev 16:12-16; 19:19-21). Amos was written over 200 years before Ezekiel. It’s the only place in any translation of the Old Testament where Gog is mentioned by name except in 1 Chron 5:4 where a son of Joel from the family of Reuben is named Gog. This shows that the Old Testament's Ezekiel 38-39 [Gog-Magog] battle is one and the same Armageddon battle spoken in the New Testament. 25) God calls this Armageddon day in which He will fight against the enemies of His as ‘The Day of His Wrath or Fury’ in all scriptures (Ps 110:5; Is 13: 9, 13; Zeph 1:18; 3:8; Rev 6:17). In the Gog-Magog war God says, "For in My jealousy [and] in the fire of My wrath I have spoken: 'Surely in that day there shall be a great earthquake in the land of Israel" (Ezekiel 38:19). God calls the day of Armageddon battle in the Book of Revelation as the “wrath of Almighty God” and “fierceness of His wrath” (Ezek 38:18; Rev 16:19; 19:15). In Ezekiel 38:19, we first see God speaking about the battle, in the fire of His wrath and then predicting an unprecedented earthquake as the result of His wrath. This is the same scenario that is also described in the Book of Revelation on the Armageddon day of battle (Matt 24:29; Rev 6:12-17; 16:18-21). In this day only the one-third remnant of Jews left will be hidden from His anger and wrath (Zeph 2:1-2; Zech 13:9; 14:2-5). There is a great quake which is described in this day of battle in Ezekiel 38:19-21, and also in many other places of the Scripture which says that at the Messiah’s presence all men who are on the face of the earth will shake in that day. In the exact way the war of Armageddon is also described in the Book of Revelation in the New Testament, in which it is said that because of His wrath a great unprecedented earth quake is said to take place. The only shaking of heaven and earth which is clearly portrayed in the Scripture is the day of Armageddon in which the Lord’s “wrath” will consume His enemies when He will appear to rule on the earth forever (Isa 13:13; Joel 3:16; Hag 2:6, 21). Exactly in the same way this unique earth quake is described in all the other references of the Scriptures which clearly proves that it is the same battle that is described in both Ezekiel 38-39 and in the Book of Revelation as Armageddon, and also in all other places of the Bible in which the same battle is called as the ‘day of His wrath’ (Zech 14:3-5; Amos 1:1; Rev 16:18-19; 6:14-17; Zephaniah 1:14). 26) Not one statement in these two chapters (Ez: 38-39) mention a war in Israel before Armageddon [or after]. If there is a war described in these two chapters of Ezek 38-39, then legitimately atleast we can think of considering it as an option for the discussion that the two battles of Ezek 38-39 and Armageddon may be different. 27) The battle of Armageddon is the only war predicted by the prophets that could possibly be referred to in these chapters (Ezek. 38:17). Armageddon is mentioned many times by Isaiah, Jeremiah, Micah, and other prophets before the days of Ezekiel (Isa. 1:25-31; 3:25-26; 13:1-16; 24:21; 63:1-6; Jer. 25:30-33; 30:11,20-24; Joel 2-3; Oba. 1:15-21; Mic. 1:3-4; 2:12-13; 5:5-15; etc.). There is not a single war in the whole Bible that does fit a scenario other than the Armageddon which has the accompanying signs of God’s wrath and earth quake in it. 28) The destruction of Gog and his armies (Ezek. 38:18-23; 39:1-6,17-20) compares with similar statements about Armageddon in Joel 3; Zech. 14; Rev. 19:11-21. These similar statements points clearly to one conclusion that all the Books of the Bible has clearly pointed towards this battle as something unique in which the mortal man will try one last time to fight against his maker to dislodge Him from His rightful place as the sole owner who deserves worship because of His absolute character. This is the reason at the end of the Millennium rule of Christ as the Bible says this war will continue and reach its zenith one last time before Satan and all human flesh will be banished forever (Rev 20:7-10). 29) Gog will not fall upon the open field until Armageddon (Ezek. 39:3-5; Rev. 19:11-21). There are no other battle in the Bible which points to an open field battle in rebellion against God and His land of Israel directly except this one battle of all battles which is Armageddon. Clearly this is one battle that the Bible describes that the blood of God’s enemies will come upto the height of horses’ bridles, for one thousand six hundred furlongs (Rev 14:17-20). 30) The great supper for the fowls and beasts will only be at Armageddon (Ezek. 39:4,17-20 with Mt. 24:27-28; Rev. 19:17-21). The is no other great supper that God has described anywhere in the Bible except these two places which points to the conclusion that both must be the same. 31) The presence of God (as pictured in Ezek. 38:18-21; 39:1-6,17-24) will not be present in the temple until Armageddon (Isa. 63:1-6; Zech. 14:1-5; Rev. 19:11-21). God has promised to build the tabernacle of David only when He will come to restore it after Armageddon and has assured that He will rebuild the old ruined walls, only at this time He has also promised to bring back the Shekinah glory of God through the Messiah who will rule the world (Acts 15:16-17; Is 11:4; 60:1-3; Ps 2:12). 32) The supernatural destruction of Gog and his armies (as described in Ezek. 38:21-23) will not be until Armageddon (Isa. 63:1-6; Joel 2-3; Zech. 14; Rev. 19:11-21). In no other scripture during the latter days has God told us about a supernatural direct intervention to rescue the nation of Israel except at the time of the battle of Armageddon (Rom 11:26-27; 9:25-29; Isa 59:20; Zech 14:1-5). 33) God will not magnify and sanctify Himself and set His glory among the heathen (as stated in Ezek. 38:23; 39:21-24) until He comes at the second coming of Christ -- at Armageddon (Zech. 14:1-21; Mt. 24:29-31; Rev. 19:11-21). Until the day of Armageddon Antichrist will be the one who will rule the nation of Israel, deceitfully making the Jews believe that he is their real messiah. This is the reason God accuses the nation of Israel in Ezekiel 44:7-8 as a rebellious house which will bring all the abominations of Antichrist and his religion inside the the 3rd Temple of the end times. The Antichrist is described here as a foreigner who will be neither a Jew [i.e. uncircumcised in the flesh] nor a Christian [i.e. uncircumcised in heart], but who will defile the temple by his unholy sacrifices. God has also predicted that all foreigners will break God's covenant law given to Israelites by Moses (John1:17; Acts7:37-43; Rom 2:17-25; Deut 5:1-22) because of all the abominations that will take place during the 7 year covenant period of false peace instituted by Antichrist (1 Thess 5:3; 2 Thess2:3-4). God has clearly foretold in the Ezek 44:8 that the house of Israel will not keep charge of God's holy things but instead will allow foreigners to keep charge of His sanctuary for Him (Ezek 44:7-8). And also this shows that Antichrist will be accepted as the messiah of Israel in spite of him being a foreigner. God will only set up His rightful kingdom and His glory on earth through the real Messiah of Israel [i.e. Jesus Christ]. This kingdom establishment on earth through the Real Messiah Jesus Christ will happen only after Armageddon battle (Rev 19:11-16; Matt 25:31-34). 34) Gog will not bring the many armies of the nations into Israel to be destroyed until the time of the second coming of Christ, at Armageddon, as referred to in Ezek. 38:18-23; 39:1-7 and proved in Zech. 14:1-5; Rev. 16:13-16; 19:11-21. Such a massive size of army has not been described anywhere in the Bible except at the time of Armageddon battle (Rev 9:13-21; 16:12-16). Due to the massive population explosion of the end times this 200 million army of horsemen can be possible. 35) The great earthquake of Ezek. 38:20 will not take place until the seventh vial and the second coming (Zech. 14:1-5; Rev. 16:17-21; 19:11-21). There are no such powerful earth quake described in any part of the Bible during a battle, so only God compared this Armageddon battle to the time of the days of Uzziah king of Judah in which the Lord supernaturally opened up a mountain valley for the army of the people of Israel to flee from the earth quake which destroyed their enemies (Zech 14:5). In the same way it will happen at the end time war of Armageddon. Ezekiel 38:19-21 talks about a great shaking in the land of Israel. It says that “...all creeping things…and all the men that are on the face of the earth shall shake in God's [i.e. My] presence, and the mountains shall be thrown down… and every wall shall fall to the ground.” My question is, if this Ezekiel 38-39 happens before the so called 7-year Tribulation or during that time of 7 years, the whole country of Israel have to be rebuilding its ruins for the rest of the period in which Antichrist was described to be ruling from the nation of Israel. In Isaiah 13:13 this day of shaking is described as the "wrath of the Lord" and "the day of His fierce anger" which points to the battle of Armageddon, which Jesus also described as taking place just before and during His Second Coming time (Matt 24:29-30). This is a world wide earthquake and it is not limited to Israel as described in Ezekiel 38:20. In this earth quake the epicenter will be Israel from which this unprecedented catastrophic worldwide earthquake will start, spread to the whole wide world and then will strike fear into the hearts of every living thing on Earth. My question is, if it is not world wide earthquake then why do all the men of the earth shake? This shows that it is the worldwide Armageddon Earthquake. 36) God's presence will not destroy Gog and his army until the second coming, at Armageddon (Ezek. 38:20; 39:2-7 with Zech. 14:1-5; Rev. 19:11-21). The supernatural destruction of Ezek 38-39 with out any human intervention clearly points to the direct destruction of the enemy through the presence of the Lord and his invisible armies at Armageddon (2 Thess 2:8; Rev 19:17-21). 37) Gog and his army cannot be destroyed in a war in Israel before the second coming, at Armageddon, to fulfill Ezek. 38:18-23; 39:1-7,17-20, and then be destroyed again at Armageddon to fulfill Isa. 63; Joel 2-3; Zech. 14. We must therefore recognize all these passages as referring to the same destruction -- at Armageddon (Rev. 19:11-21). 38) The burial of Gog and all his armies destroyed in the fulfillment of Ezek. 38-39 will be at the second coming of Christ (Ezek. 39:11-16 with Dan. 7:11; 2Th. 2:8-12; Rev. 19:11-21). 39) It is at the second coming of Christ that God's glory will be set among the heathen and Israel will be completely gathered and blessed (Ezek. 39:21-29; Zech. 14; Mt. 24:29-31; Rom. 11:24-29; Rev. 19:11-21). 40) There is not one single scripture in the Bible that describes any war in Israel after the Gog-Magog war -- because there isn't one. If we accept the Battle of Armageddon as coming after Gog-Magog, then, we must accept two supernatural destructions of two gathered armies by the Lord of Hosts each led by a different Assyrian Prince, two great suppers for the fowls, two great earthquakes that shake the whole world, two mass burials of armies in a valley called Hamongog, two 7-year periods of burning weapons, and two different days about which God proclaims, "Behold, it is come, and it is done, saith the Lord GOD; this is the day whereof I have spoken." (Ezek 39:8). 41) Ezekiel says that the nation of Israel will be seven months burying the dead and seven years burning the weapons. This obviously can't happen during the Tribulation Week with everything else that will be going on. Weapons of war will only be burned after Christ returns and Israel is living in perfect peace under the Prince of Peace, no Antichrist in sight and weapons of war are no longer necessary. And, it won't just be Israel that burns weapons of war. In the beginning of the Lord's Millennial Reign we will see the fulfillment of Micah 4:3, "And he shall judge among many people, and rebuke strong nations afar off; and they shall beat their swords into plowshares, and their spears into pruninghooks: nation shall not lift up a sword against nation, neither shall they learn war any more." In other words, all the nations of the world including Israel will be implementing the most massive and permanent disarmament program in history. 42) Further, the Gog-Magog war cannot take place before the Rapture when the "Restrainer of Lawlessness" will still be present (2 Thess 2:7). Once the "Restrainer of Lawlessness" is taken out of the way for the Antichrist to fullfill the end time purpose of God, Antichrist will step in to the temple to claim himself to be god and will seat himself in it, after this event which is usually called as the ‘abomination of desolation’ the restrainer will no more be restraining any lawlessness from the world which will cause the wrath of God to come upon it in an increasing measure till the Great Tribulation gets over (2 Thess 2:8; Rev 13:5; Matt 24:21, 29). Immediately after this event of ‘abomination of desolation’, any time the Church will be raptured out of the world (Matt 24:24-28; 1 Thess 4:13-18; 5:1-11). The Gog-Magog war cannot take place in the first half of the peace covenant of 7 years that Antichrist will make with the nation of Israel (Dan 9:27), for such an significant event would certainly have been mentioned by John separately from Armageddon if they were two separate events conducted by two separate invading "Princes". Furthermore, it is beyond credibility to think that Ezekiel would describe the invasion of Israel in the latter days by an Assyrian Prince named Gog and never once mention a war as significant as Armageddon led by another Assyrian Prince if they are two different "Princes" and two separate conflicts. Remember, Ezekiel's war and Armageddon are both described as only lasting a single day, the same day, the Day of the Lord. 43) The Gog of Magog, the Assyrian, and the Antichrist are all one and the same person. Ezekiel 38:17 proves this fact beyond doubt. The Lord GOD is speaking directly to Gog of Magog ("he of whom I have spoken"). It is evident in searching through all the other books of the "prophets of Israel" that the Antichrist is referred to many times by many names, but, here in Ezekiel is the only place in the Bible we have a reference to a Prince called "Gog". So, if God's "servants the prophets of Israel" "prophesied in those days many years that I would bring thee (Gog) against them", Gog and Antichrist have to be the same person because the only person the others prophesied about invading Israel was Antichrist. Ezekiel 39:7-8 says "So will I make my holy name known in the midst of my people Israel; and I will not let them pollute my holy name any more: and the heathen shall know that I am the LORD, THE HOLY ONE IN ISRAEL. 8 ¶Behold, it is come, and it is done, saith the Lord GOD; this is the day whereof I have spoken." In the King James Bible, the phrase, "the Holy One of Israel" occurs many times and always refers to Messiah the King. But, the phrase "the Holy One IN Israel" occurs only once in Scripture, here in Ezekiel 39:7. This proves beyond doubt that Jesus Christ is physically present IN Israel after Ezekiel's war. Now that we have proven that Ezekiel's war and Armageddon are the same battle, and that Gog is "the heathen" Assyrian Prince we call the Antichrist, any remaining questions regarding the timing of "his two campaigns" against Israel can easily be resolved. 45) Most Bible scholars believe the land of Magog refers to lands encompassed by modern Russia. This does not, however, mean that Gog, himself, has to be a Russian in order to lead a coalition of "many nations" including Russia into battle. We know from a study of Daniel 11:35-45 that the Antichrist will come from the Syrian (Selucid) division of the former Grecian Empire and that other passages refer to him as "the Assyrian", "the King of the North", the "Prince that shall come", "the Beast", "the Son of Perdition", "that evil one", "a wicked counsellor", etc. Now, thanks to Ezekiel, we can also refer to him as Gog of the land of Magog, the Chief Prince of Meshech and Tubal. I think with a little careful study you will find historically that Meshech and Tubal were located in the area of modern Turkey, not Russia, and Turkey was definitely a part of the Syrian or Selucid portion of the four divisions of the former Greek Empire. 46) The first time Antichrist the prince of Rosh, Meshech and Tubal comes to Israel, he will occupy the 3rd Tribulation Temple of Israel deceitfully as their messiah in the middle of the peace covenant of Daniel's 70th week, and only 10 kingdoms of the Revised Roman Empire will be with him (Dan. 11:35-45; Rev. 11:1-2). [This is when Gog, the Antichrist, will take Jerusalem as his capital city by claiming himself to be the messiah of the nation of Israel and will enter the Temple proclaiming himself to be God.] Between this deceitful takeover of the temple and the fulfillment of Ezek. 38-39 the combined nations of the north and east of the 10 kingdoms will make war on Gog and these kingdoms under him. He will leave Israel and his capital (Jerusalem at this time), to go forth against these new enemies until they are defeated in the last 3 1/2 years of Daniel's 70th week (Dan. 11:44). 47) The second time Antichrist as Gog comes to Israel, he will show his real face and will invade the nation of Israel which will be at the end of the last 3 1/2 years of Daniel's 70th week. After he has conquered the countries north and east of his 10 kingdoms inside the old Roman Empire boundary lines, then he will have conquered Russia, and the many countries with her, becoming their ruler as well as being the ruler of the 10 kingdoms and the countries of the north and east. Gog will then lead all these to battle, and many other nations whom he has not yet conquered, but who will cooperate with him through the ministry of the 3 unclean spirits of Rev. 16:13-16. These vast armies being mobilized [at Armageddon] will converge on Israel in an effort to destroy Israel completely (Zech. 14:1-15) and stop Christ from setting up His kingdom on earth (Rev. 19:11-21). At this time all of Ezek. 38-39 will be fulfilled. Then after this battle of Armageddon Christ will set up His kingdom on earth as predicted here and in Isa. 2:2-4; 9:6-7; 11:1 -- Isa. 12:6; 63:1-6; Jer. 30-31; Dan. 7:13-14; Mic. 4; Joel 2-3; Zech. 14; Lk. 1:32-33; Rev. 11:15; 19:11 -- Rev. 20:10. 48) The only time Russia will invade Israel in fulfillment of Scripture will be as one of many conquered nations under Gog or Antichrist, when he and his armies will fight against Israel and Christ at Armageddon -- at the time of the second coming. Russia will not be under Antichrist at the time of his first deceitful influence over Israel as their messiah when he takes over Jerusalem and the Jewish temple as his capital; but she will be with him when he returns the second time to Israel. The second time Antichrist comes to Israel, he will come with a evil thought inside him to destroy Israel and plunder its wealth (Ezek 38:10-17). After conquering these nations of the east and the north (Dan 11:44-45), Gog will come back down into Israel, surround the city, take half of it, and then be suddenly defeated in one day's battle (Armageddon) by Christ and the heavenly armies (Zech. 14:1-15). The first time Antichrist comes towards the nation of Israel, his motive will be to rule the world from the temple in Jerusalem. The second time he comes towards the nation of Israel, his motive will be to plunder the wealth of the nation of Israel and destroy it for ever. This is the reason it is shown in the Book of Daniel that the second time Antichrist return to Israel he will not stay in the temple as his palace of abode as at former times but he, “...shall plant the tents of his palace between the seas and the glorious holy mountain [Note: this time his palace of abode will not be inside the temple which would have been desolated completely due to abomination of placing a Satanic statue inside the holy of holies at the end of the ascension of the two prophets Elijah and Enoch, but he will plant his tent between the seas and the temple mount so that it will be easy for him to invade Israel, loot it and completely destroy it from existence]; yet he shall come to his end [in the Armageddon battle (Rev 19:17-21)], and no one will help him [ because all humans will be powerless before the supernatural army of Christ and His saints in their glorious bodies]." (Dan 11:45). 49) As Christ has foretold in Matt 24:6, “…ye shall hear of wars and rumours of wars: see that ye be not troubled: for all these things must come to pass, but the end [war of Armageddon] is not yet.” During the end time before Armageddon a lot of wars will take place and the rumours of more wars will increase as the time of the end will draw near to the finish line of Armageddon. The sorrows of the end time will be just like a birth pang (Matt 24:8; Mark 13:8). In other words the sorrows and distresses of the end time will keep increasing day by day during the end time until the day of Armageddon which is its zenith gets over and Christ establishes His righteous government and His kingdom on earth. Till then as Christ has clearly instructed us, all these things of chaotic fighting's, wars and rumors of wars are just a passing time before rapture takes place. So we should not be troubled by all these wars and rumors of wars like as the world which will experience serious distress of what is going to happen to the world (Luke 21:25-26; 2 Tim 3:1). We should be ruled by peace and joy in the end times looking forward to the day of rapture and comfort one another with the message of the rapture of the Church in the end times (1 Thess 4:15-18; 5:9-11). 50) In Ezekiel 39:28 God has promised to the nation of Israel, "Then [when? After the Battle of Armageddon] they will know that I am the LORD their God, for though I sent them into exile among the nations, I will gather them to their own land, not leaving any behind." Here it is clearly evident that no Israelite will live in any part of the world after Ezekiel 38-39 because they will realize that their Messiah has already come to Israel to rule the world, and they all will rush back to Israel to live under the rulership of Jesus Christ their Messiah. So only God also has told in the preceding verse that He "...will gather them [i.e. all the Jews around the world] to their own land [i.e. Israel], not leaving any behind." After this battle of Armageddon not even one Jew will be living among the Gentiles because God will fulfill His promise to protect them in their own land. Because of the threat of the enemies of the nation of Israel many Jews are still skeptical to migrate to the nation of Israel. Many Jews have fear about their future security and well being to live inside the nation of Israel. After the second coming of Jesus Christ all the Jews will be gathered from all over the world and will live in Israel with out any fear of a nuclear catastrophe or annihilation (Matt 24:31). After the Armageddon Battle of Ezekiel 38, Jewish people all over the world will realize that God is once again reaching out to them. They’ll respond by returning to Israel. None will be left behind. This shows that this war is in fact the Armageddon battle that John described in Revelation 19th chapter. Thus all the previous expositions clearly points that the Ezekiel's 38-39th Chapters war and the Battle of Armageddon are one and the same, the final war between good and evil, and cannot not take place until the end of the 70th Week of Daniel at the Second Coming of our Lord Jesus Christ.